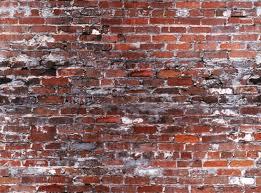 These are my personal brick walls. People who I need help researching. If you know something about these folks, I sure would appreciate some help! Lucinda Flora Thornton. d/o of Samuel and Chloe Thornton. married Andrew Barr in Vermont. Andrew and their two children move to Iowa, she does not. I would like to find a date of death for Lucinda. (SOLVED) I found her date of death in a newpaper, she died on pnuemonia. *Samuel Thornton(s) these guys drive me batty. Samuel 1 was the son of James Thornton, his brother was Matthew Thornton, signer of the Declaration of Independence. You would think that at least something would be known about him, other than the fact that he produced a lot of children. Samuel 2 his son is better known but still there is a lot missing. * think I got this one! Phebe Carter born in New Hampshire or Vermont in 1777. Married to James Blanchard and lived in Greensboro Vermont. Who were her parents??? Hi- Love your Sargent information. We are decendents of Dorcas Sargent, Reynolds Lane, Henry W. Lane. We are at a brick wall with Reynold's dad Dennis Lane. Do you have anything on him? Thanks!